DaddyOFive is a fairly popular YouTube channel — it boasts around 750,000 subscribers — founded in August of 2015. Until recently, it posted daily videos depicting the life of a blended family: Mike Martin; his son, Cody; his daughter, Emma; and his wife, Heather, and her three sons. The Martins would often put up “typical” family videos, recording and publishing the day-to-day movements of their lives, but their most popular videos are loosely executed pranks, targeted mostly at Cody, the youngest of the five. All the vloggers I talked to discovered DaddyOFive through one of these Facebook pages, or through another YouTuber, Philip DeFranco, who created a video exposé collecting and commenting on some of DaddyOFive’s worst moments. Two days after DeFranco’s video launched, the story ballooned everywhere, from YouTube-specific sites like We the Unicorns and Tubefilter to the New York Post and BBC News. YouTube removed ads from the channel. (Their only comment: “Videos violating YouTube’s community guidelines are removed from the platform.”) Several videos were deleted, but some similarly upsetting videos — with titles like “Dad Destroys Son’s Xbox One PRANK” — remained up, until the Martins made the channel’s entire archive private, after issuing their first public apology several hours later. (On Martin’s Twitter, he claims the decision to demonetize was his own.) YouTube has not responded to further requests for comment. Both the Martins and Rose Hall, Cody and Emma’s biological mother, report that a Child Protective Services investigation of the family took place in the state of Maryland — Hall’s sister Crystal Reynolds added, aghast, that investigators had considered the behavior “[appropriate] corporal punishment.” Maryland CPS is not legally permitted to confirm or deny that an investigation occurred. Hall, who lives in North Carolina and had custody of Emma and Cody until 2014, alleges that the children were taken from her illegally and unfairly, and that the Martins forged paperwork from her granting them permanent custody, and used intimidation tactics in the ensuing custody battle. Hall also alleges that she made Maryland authorities aware of the DaddyOFive channel in October, though Maryland CPS has claimed that they were unaware of the videos until the scandal broke. Detective Drew Robinson at the Martin County Sheriff’s Office in North Carolina confirms that a police report including the videos was filed on October 17, and says the office passed the information to Maryland authorities. Regardless of where their situation lands legally, the Martins appear to have taken some of the criticism to heart. But this is not an isolated incident. Channels showing 8- to 12-year-old girls as “Bad Babies” — making messes, throwing tantrums, being harshly scolded, acting out repeated body horrors, or being watched by ogling monsters while sleeping — routinely get hundreds of millions of views a month. None are as immediately disturbing as DaddyOFive’s explicit videos — the girls on the most popular channels are obviously acting, and seem, in the short snippets we see, to be having fun — but the line between harmless fun and exploitation can be blurry on YouTube, especially as life-changing amounts of money get involved. 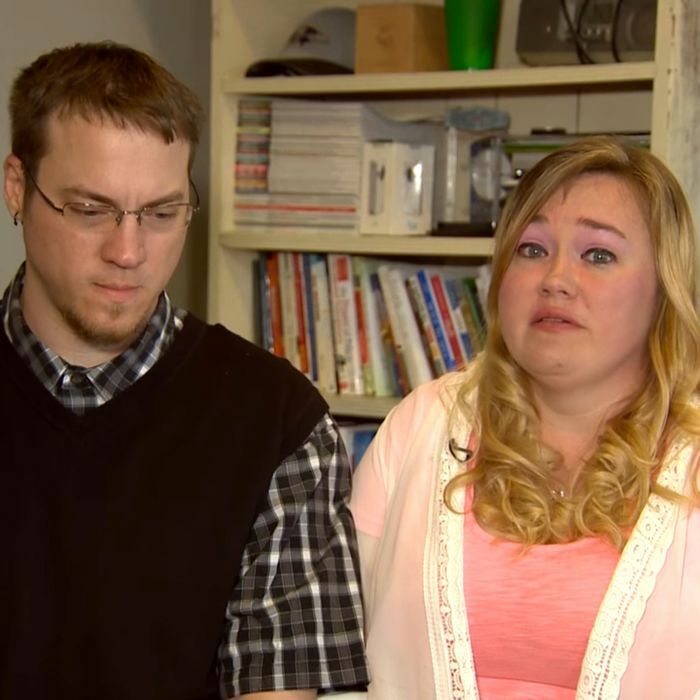 Estimates of DaddyOFive’s income range from $200,000 to $350,000 annually, and while they have made clear that this money pays for toys and trips for their children (at one point in apologizing, they worried that selling their kids’ electronics might be the only way to support themselves), the onscreen victimization suffered by the Martin kids is only part of the injustice. Though many young YouTube stars essentially work as child entertainers — the Martins explicitly claim that their kids are acting, and many families are open about scripting some videos — the conditions of and income from their labor are not regulated. Most rely entirely on the generosity of their parents, who receive automated payments from ad revenue, to see any benefit from their work, and that financial coercion is important to consider when the Martin children making middling or even positive statements about their parents’ treatment, as they did in a since-privatized initial response. million​ ​subscribers,​ ​they​ ​need​ ​to​ ​take​ ​a​ ​look​ ​at​ ​that,” said Kristine, who creates Family Fun Pack with her kids (she asked me not to use her last name to protect the family’s offscreen privacy). Both she and another family vlogger I spoke to, who asked to not be identified, have millions of subscribers and their own YouTube reps, but neither attempted to reach out to the company directly. Short of support from YouTube or the MCNs many channels work under, vloggers turned again to their own community to look for ways to move forward. “Most MCNs … they​ ​don’t​ ​care​ ​until​ ​it becomes​ ​a​ ​big,​ ​massive​ ​public​ ​situation,” said a prominent YouTuber.